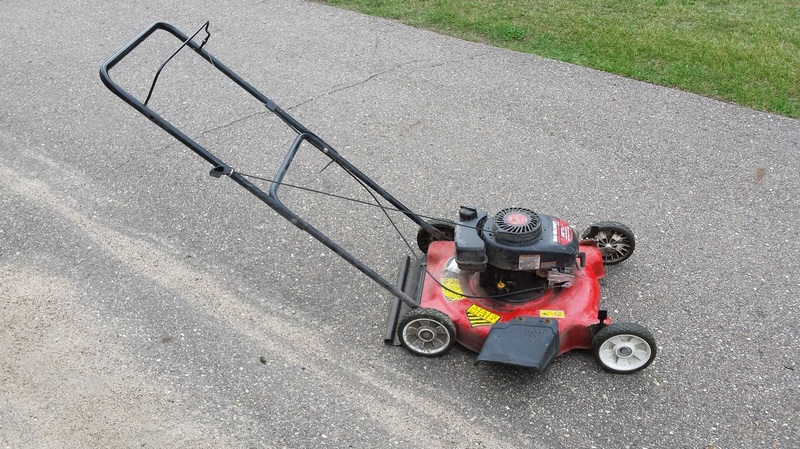 Uses for small engine vary widely, But are broken into two main categories. "Residential and Recreational." These are engines used by home owner, or engines used to recreation activities. "Commercial & Industrial" is the other catagory. These are engines used on the work site. -Lawn Tractors and Garden Tractors. 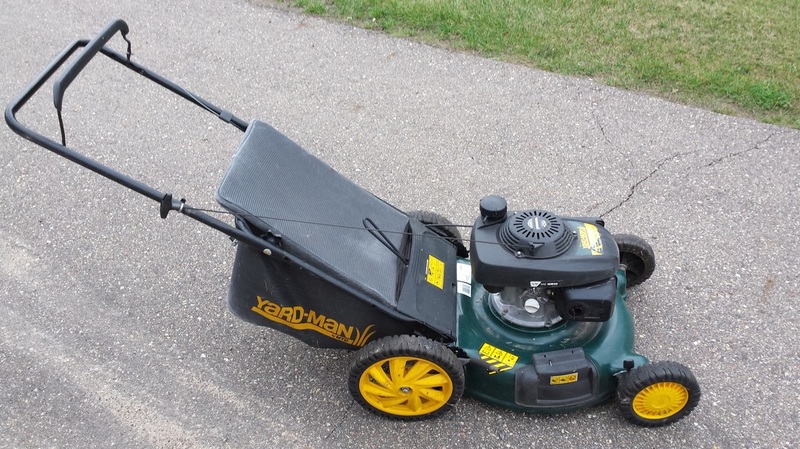 A bagging lawn mower. It catches lawn waste in the bag for easy disposal. 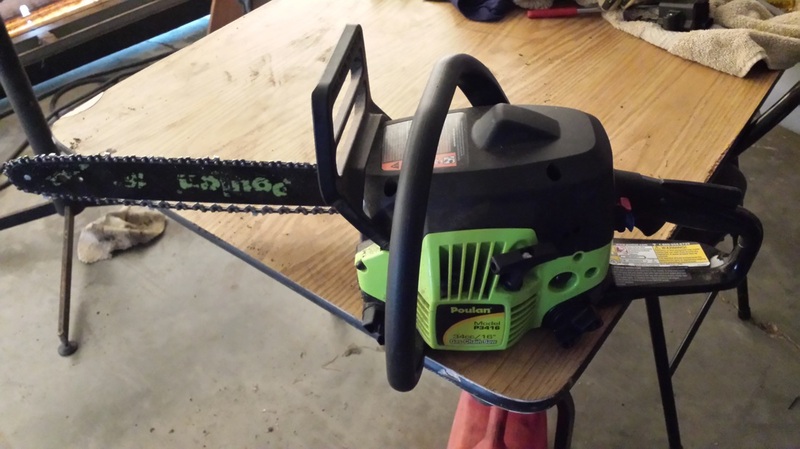 A gasoline Chain Saw. This one features a 34CC 2-cycle engine. Oil must be mixed with the gas. Exhaust - Exhaust gases are released from the cylinder. The stages then repeat. Combustion Chamber - Small space above Piston (at TDC) where fuel mixture is compressed and ignited. Work - A force that is applied over a specified distance. Power - The amount of work that can be performed over time. Engines are most commonly rated by HorsePower (HP) Horse power measures the amount of work a typical horse could perform. Torque - A measure of twisting or rotational force. (ft-lbs) An engine produces its maximum torque at a lower rpm than its peak HP and declines slightly as RPM increases.